Shingles that are buckling, cracking, curling or blistering. (This indicates the end of the shingles’ life span). 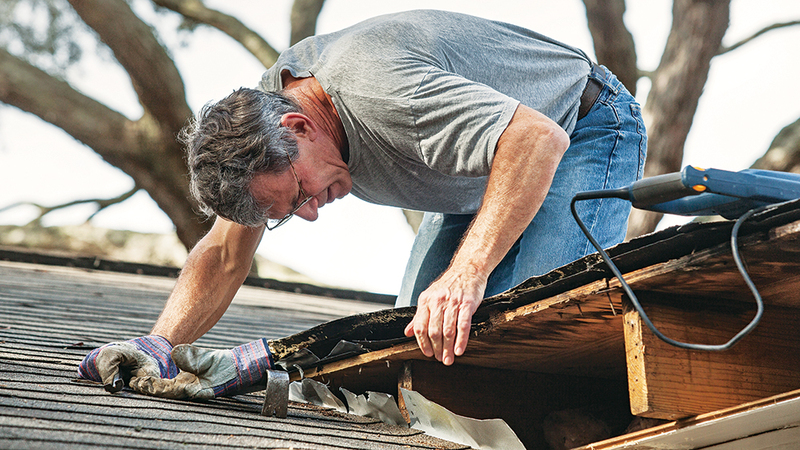 Loose roofing material or exposed flashing around chimneys and vents. If you see signs that your roof may be compromised, a professional roofing contractor is well worth the money to make the necessary repairs. And it should go without saying to keep your gutters and downspouts clear of leaves and debris. 2. HVAC System. First and foremost, fall is the time to replace the filter in your furnace so it functions to its fullest during the cold winter to come. While you’re at it, clean your ducts to improve your system’s overall efficiency, as well as to reduce household dust and allergens. Finally, consider hiring a service professional to give your heating system a check-up, so you can fix any minor issues before they become major (and pricey) repairs. 3. Windows. Summer’s heat and humidity can wreak havoc on your home’s sealants, especially around windows and doors. Fortunately, if you stay on top of it, touching up sealants can be simple. Start by visually inspecting all your windows and doors, and repair any loose or damaged frames. Install weather stripping or caulking around them to prevent drafts and to lower heating bills. 4. Plumbing. Nobody wants to deal with burst pipes and flooding in the dead of winter. To prevent them from freezing, fall is the time to ensure that your pipes are well insulated. Also, when the first frost approaches, make sure to turn off your hose bibs and drain outside spigots so those water lines don’t freeze up. 5. Chimneys. According to the latest data from the Chimney Safety Institute of America and the U.S. Safety Consumer Protection Commission, an average of 22,300 fires are started by dirty chimneys each year, resulting in hundreds of millions of dollars in damage and loss of life. It’s vital to inspect each wood-burning fireplace chimney in your home, and, if you use your fireplace frequently, have it professionally cleaned so creosote buildup doesn’t catch fire. Test your flue for a tight seal to prevent unnecessary energy loss.